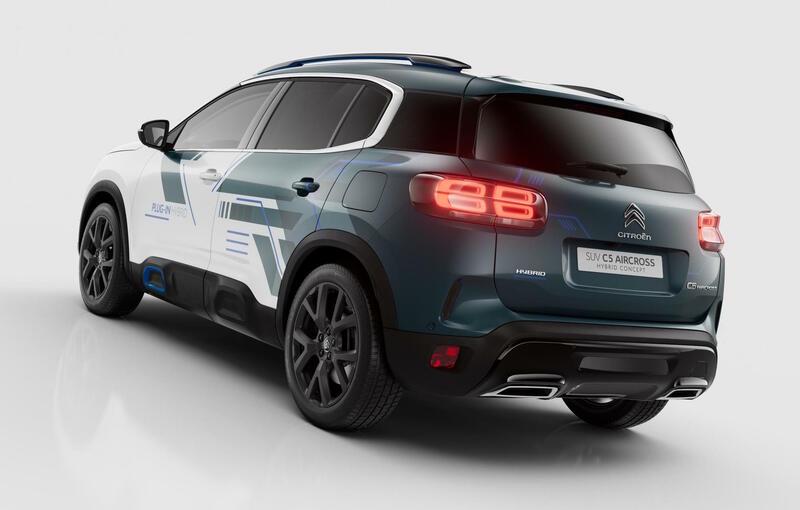 Citroen has unveiled its new C5 Aircross hybrid concept ahead of its public debut penned in for the Paris motor show next month. It gives us some insight into a future variant of the C5. 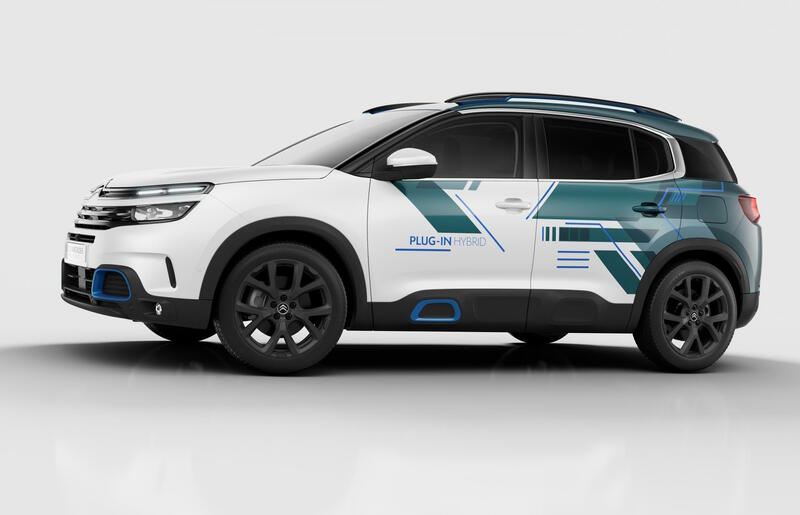 The French company says the concept previews a production version of the near future, which will come in as its first plug-in hybrid vehicle (PHEV). It will fall under the brand’s latest core model strategy. This strategy will see 80 per cent of its showroom range offered with an electrified option by 2023, and then up to 100 per cent by 2025. 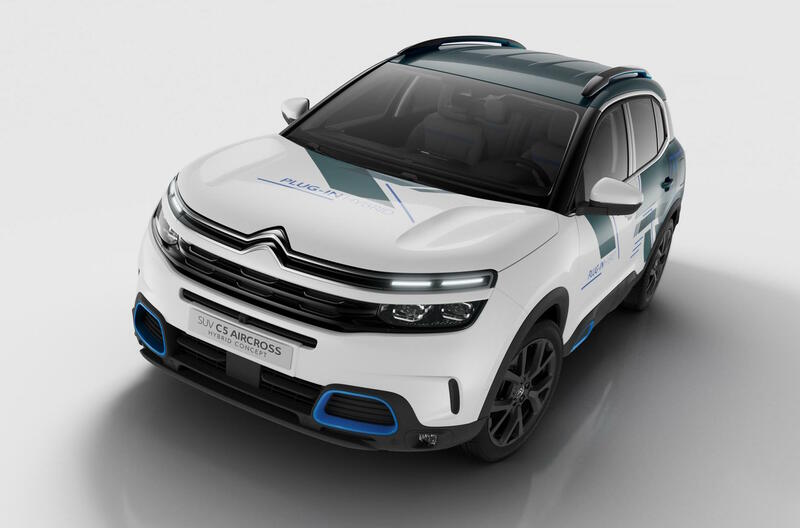 So, this C5 Aircross hybrid is a pretty big deal then. What sort of technology is involved? Under the bonnet is a 1.6-litre turbo-petrol PureTech S&S engine that produces 134kW. This is paired with an electric motor assist system that adds 80kW. Sent through an eight-speed automatic transmission, the combined output is rated at 168kW. This is a nice amount of power for a vehicle like this, although acceleration figures haven’t been mentioned. Overall combined cycle fuel consumption is rated at just 2.0L/100km. 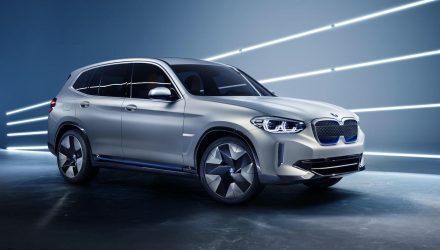 But better still, the SUV can be driven on electric power alone for up to 50km. Recharging then takes between 4-8 hours using a standard socket, depending on the output. With a faster-charging 32A wall box, the charge time is slashed to 2 hours. Users can also program the vehicle to charge at certain times such as during off-peak rates. 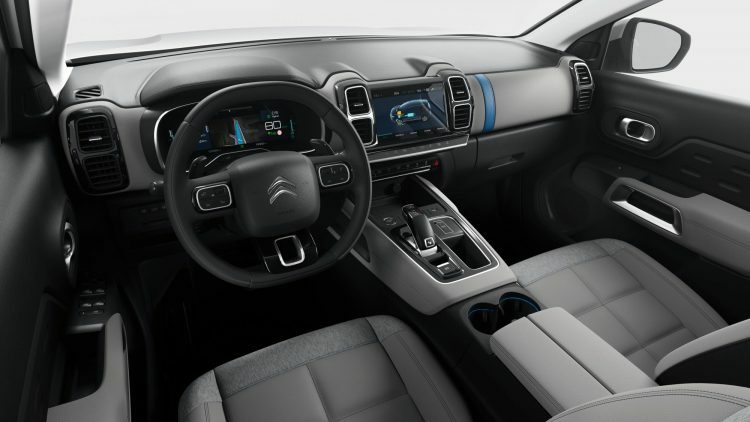 Inside, it’s typical modern Citroen. In a good way. There’s plenty of character yet there’s a clear focus on comfort and unobtrusive technology. There’s a 12.3-inch digital instrument cluster that can be configured to show various data, including power consumption and charge levels, while the main dash fascia showcases an 8.0-inch touch-screen media interface. Like the exterior, the interior of the concept features splashes of blue highlighting to indicate its eco-friendliness, while the exterior also shows off a smart electro-themed wrap and a set of black-painted 19-inch alloy wheels. There’s also some special badges and decals. 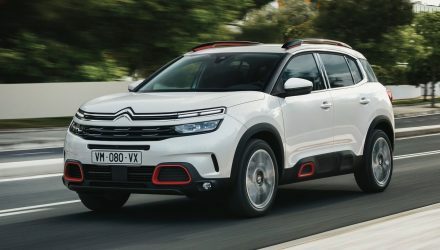 Following the launch of the new C5 Aircross, all models to be introduced by Citroen in the future will be offered with an electrified option. 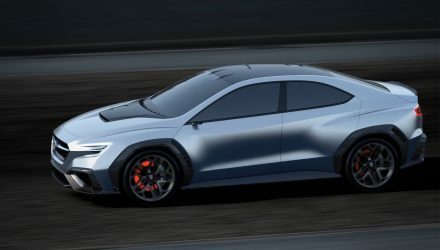 A production version of this C5 Aircross hybrid will go on sale in 2020.